Amy Knight earned her PhD degree in Russian politics at the London School of Economics and Political Science (LSE) in 1977. 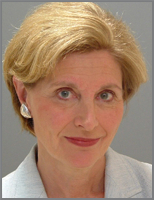 She has taught at the LSE, Johns Hopkins, SAIS, and Carleton University in Ottawa, Canada and also worked for eighteen years at the U.S. Library of Congress as a Soviet/Russian affairs specialist. In 1993-94, she was a fellow at the Woodrow Wilson International Center for Scholars. Knight has written over 25 scholarly articles and has contributed numerous pieces on Russian politics and history to the New York Review of Books and the Times Literary Supplement. Her articles have also been published in the New York Times, the Washington Post, and The Wilson Quarterly. From 2000 to 2006, Knight wrote regularly on Russian affairs for the Toronto Globe and Mail. Amy Knight is currently considered a "single author." If one or more works are by a distinct, homonymous authors, go ahead and split the author. Amy Knight is composed of 3 names. You can examine and separate out names.